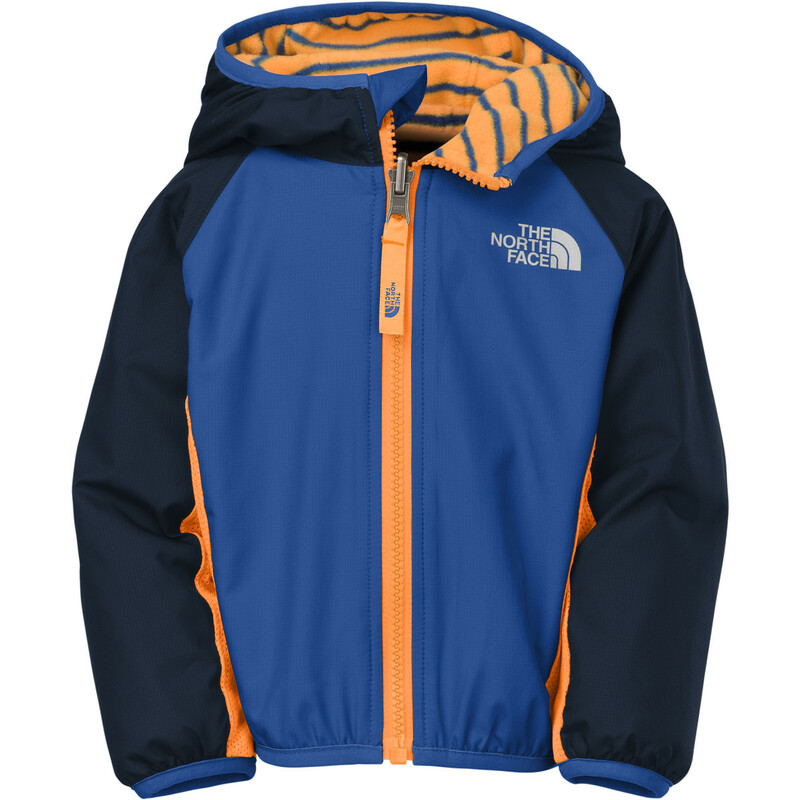 Whether it's respite from the wind or the rain, your little guy will be comfortable in The North Face Grizzly Peak Reversible Wind Jacket. 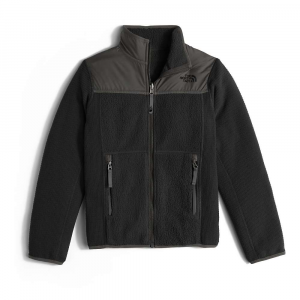 The outer fabric of this is made from recycled polyester and is treated with a durable water-repellent finish to shed moisture. Elastane at the sleeves and hood help to seal out the wind and make things even toastier. 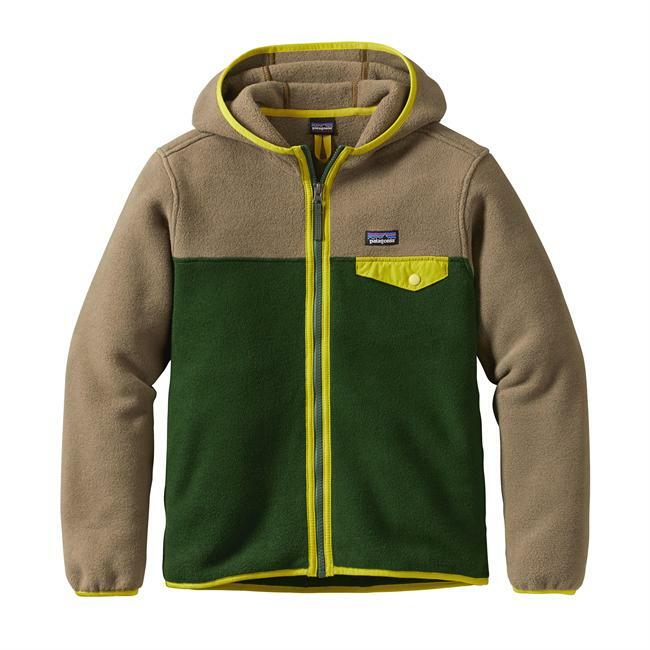 For added versatility, this reversible hooded jacket for infants switches from solid polyester ripstop (with a water repellent finish) to cozy, printed fleece. 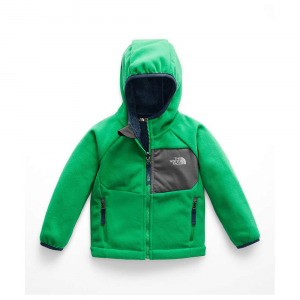 Featuring change-it-up function and style for toddler boys, The North Face Reversible Grizzly Peak Wind Jacket offers protection from the wind on one side and the soft warmth of Glacier fleece on the reverse side. Small-hole mesh side and underarm panels on the shell side enhance breathability.. . Reversible jacket for versatile style and function. 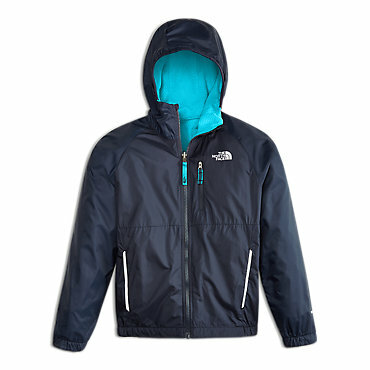 Polyester outer shell with DWR (durable water repellent) finish provides wind protection and water resistance. Side and underarm panels made from small-hole polyester mesh (shell side) enhance breathability. 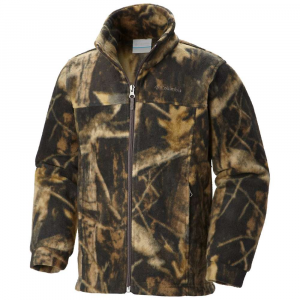 Reverse side made from soft, breathable polyester Glacier fleece for lightweight warmth. Fixed hood. Zip hand pockets on shell side. Elastane binding at sleeve cuffs and hood opening. Chin guard flap for soft comfort. Reflective logo on shell side; embroidered logo on fleece side. Logo zipper pull. Center-back length: 17.5 in.. 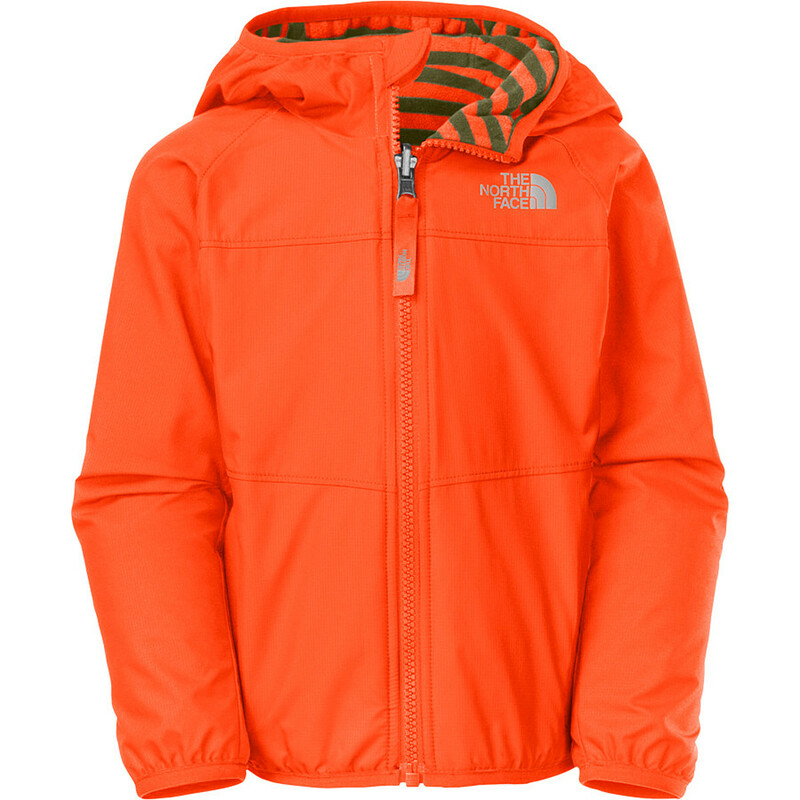 The North Face Boys' Reversible Grizzly Peak Wind Jacket is not available from the stores we monitor. It was last seen January 9, 2018	at Backcountry.com.